Inspire your child's love of music. 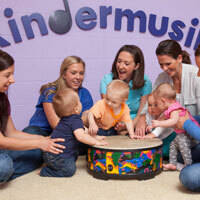 Sing, dance, wiggle and giggle with your little one at a free Kindermusik Demo Day class. Jan. 12-19, the Community Music School of Webster will offer sample classes at each of their locations in Webster Groves, Des Peres, University City and Chesterfield. Classes are open to children ages newborn to 6-years-old, and their caregivers, and begin between the week of Jan. 28, 2019. Join the Community Music School (CMS) of Webster University and the Puerto Rican Society of St. Louis, Inc. when they partner for Explore Music! PUERTO RICO on Sunday, Oct. 14th from 12:30 - 3:00 p.m. at the CMS Building on the campus of Webster University in Webster Groves. The Community Music School (CMS) of Webster University will host walk-in sessions Aug. 4-11 for new students to register for the Fall 2018 semester of individual lessons. CMS offers one-on-one instruction on all instruments of the band and orchestra, piano, guitar, harp and voice, at convenient locations in Chesterfield, Webster Groves and University City. 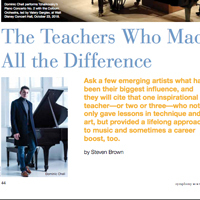 Students of all ages and abilities can be matched with one of over 90 master artist/educators. 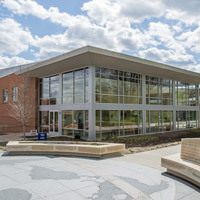 The Community Music School (CMS) of Webster University Kindermusik program has been named a Top Program by Kindermusik International, the world’s leading publisher of music and movement programs. 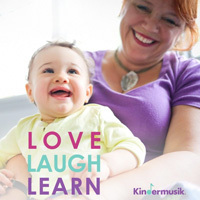 The Kindermusik Top Program Conductor Circle award recognizes excellence in building an expansive program and reaching many families in the community with music and early childhood education. 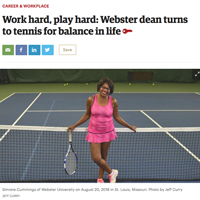 The Community Music School (CMS) of Webster University is now accepting applications for auditions for their orchestras and ensembles including String Ensemble, String Orchestra, Young People's Concert Orchestra, Young People's Symphonic Orchestra, the Preparatory Program (chamber music), and Percussion Ensemble. 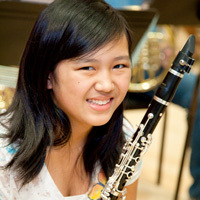 Band and string students ages 7 through high school are encouraged to apply and audition. Deadlines begin as early as May 11. 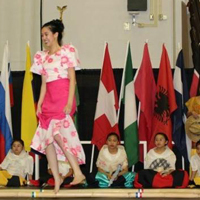 Join the Community Music School on a musical and cultural adventure exploring The Philippines on Sunday, April 29, from 12:30-3:30 p.m.. Our theme is Barrio Fiesta, meaning "neighborhood festival." Enjoy authentic music, dance, food for sale, beautiful displays of traditional decorations, art and cultural exhibits. 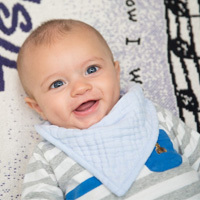 The Community Music School (CMS) of Webster University is now enrolling for their Village Mini-Session 2, a seven-week series of Kindermusik classes for newborns to 18 months. Classes begin the week of March 20, and run through May 16. Parents and children will enjoy the DewDrops curriculum, laying the foundation for a lifetime of musical enjoyment. The Community Music School of Webster University (CMS) invites you to a be a part of a live radio broadcast on Sunday, March 11, at 3 p.m. The concert will be held at the Centene Auditorium with a reception to follow. Support Jerry Chang and the Community Music School chamber ensembles by being an enthusiastic audience and hear selections by Bach, Chopin, Mozart and more! 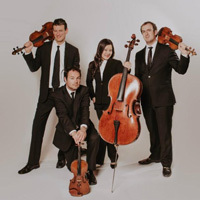 The Community Music School of Webster University hosts a free concert with The Euclid Quartet on Saturday, Feb. 3, at 6:30 p.m., in the CMS Concert Hall. This concert is part of the CMS Preparatory Program's Annual St. Looey Chamber Blitz, a weekend intensive featuring an ensemble-in-residence, and a free concert. 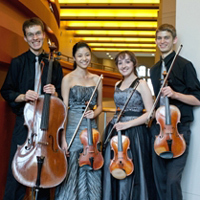 As part of the concert, the Euclid Quartet will be joined by students from the CMS Preparatory Program and paired onstage with younger CMS string players. The Community Music School of Webster University (CMS) invites you to a Spring concert featuring some of their distinguished faculty on Saturday, Feb. 17, at 2 p.m. The concert will be held at the CMS Concert Hall located at 535 Garden Avenue and features a repertoire that echoes the composer's love of country. The concert is FREE and open to the public. The Community Music School of Webster University's Preparatory Program welcomes internationally known violist and pedagogue Kirsten Docter for an afternoon featuring a free concert and dedicated viola masterclasses on Sunday, Jan. 21, from 1-5 p.m. Ms. Docter is assistant professor of viola at Oberlin College and was a member of the Cavanni Quartet at the Cleveland Institute of Music for 23 years. 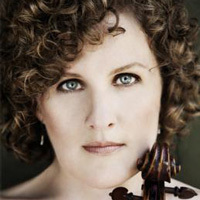 A former winner of the Primrose International Viola Competition, Ms. Docter is equally prized as a pedagogue.